So sorry to my followers that I have been incommunicado these last few days, but my chaotic blog will continue tomorrow. I’ve been working on a collection of my poetry, fiction, and essays to be published as an ebook by Kindle. Trying to deal with the technical glitches as I await the review from the Kindle gang, so I should be published by the end of the week. (Fingers crossed, but it’s hard to type that way!). The book will include the complete menu from Shakespeare’s Generic Bar & Grill as well as material first appearing here. Wish me luck! 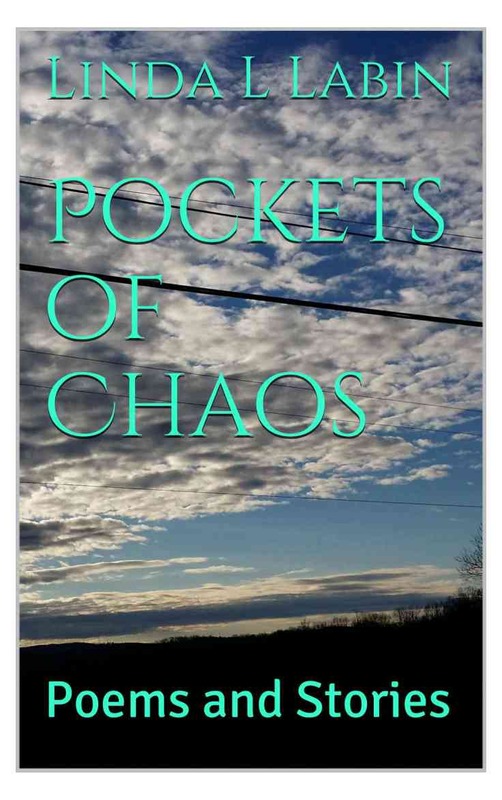 The book is titled Pockets of Chaos and will retail for $2.99. If you’ve enjoyed my writing, please spread the word. Thank you for your encouragement these last few months. This has given me the incentive to finish my comic murder mystery as well. I will be back to commenting on all of your great blogs, too. Thank you, Deborah. Everyone here has been so encouraging. So glad you’ve done this. I will get a copy to review, but mostly to cherish. Congratulations. I will try to get this when I have a credit card activated – don’t have one yet as my job is not permanent yet and the bank won’t give me a credit card. Thank you, Susie. Hope you enjoy it.